Traditionally and conventionally known as the homemakers, women both knowingly and unknowingly decorate the lives of the people they are involved with and also the homes they dwell in. Therefore, the home deserves a special treat in the face of a FEM-remodel and to make matters easy, we have today compiled a list of 9 decor ideas that reflect a feminine touch in the most subtle and contemporary fashion. 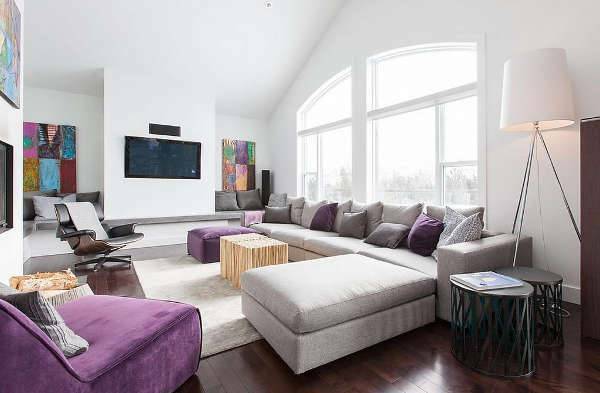 Purple is one choice of color that can instantly add a luxurious feel to your home. Complement the bold color with a subtle hue like gray and cream, and accentuate the polished look of your home. 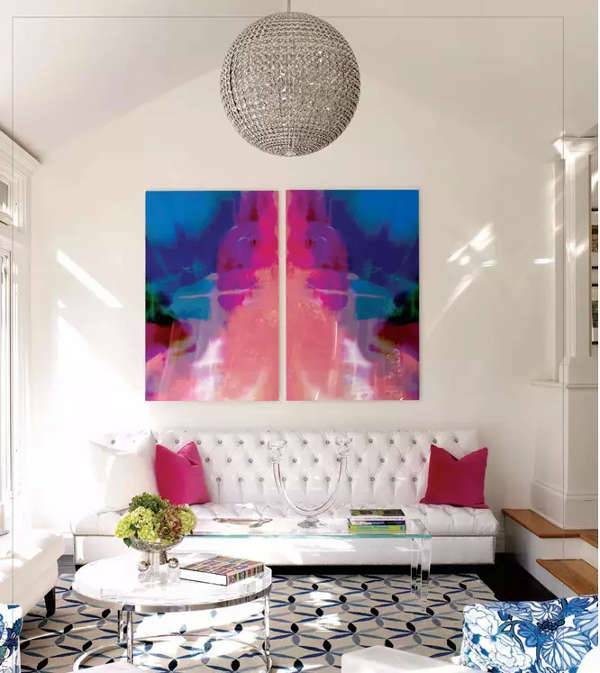 A bright statement sofa or a statement piece of furniture can instantly glamorize your room and bring in the necessary pop of color. You can decorate and complement the sofa with the needed patterned pillows and throws. 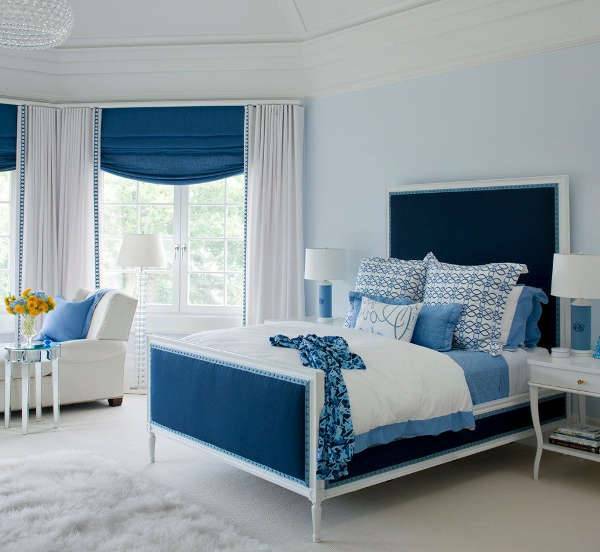 Offering just the touch of calm and composure, the beautiful blue background works exceptionally well when decorated with white stenciled patterns. 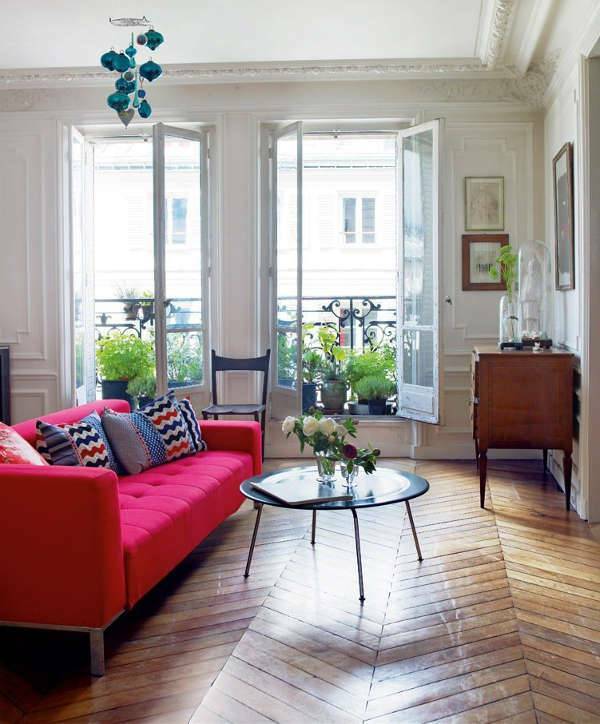 You can also go with a bold choice of color if you are looking to add a vibrant touch to your space. Including pink doesn’t necessarily turn the look of the room too girly or juvenile, it just imparts a soft feature that is equally welcoming and warm. Incorporate the color with some smart inclusion like pink striped pillow covers and upholstered seats. The look is easy on the eye and renders a smooth quality to space. If you are not the one to enjoy colors then a white themed decor is certainly the best option. 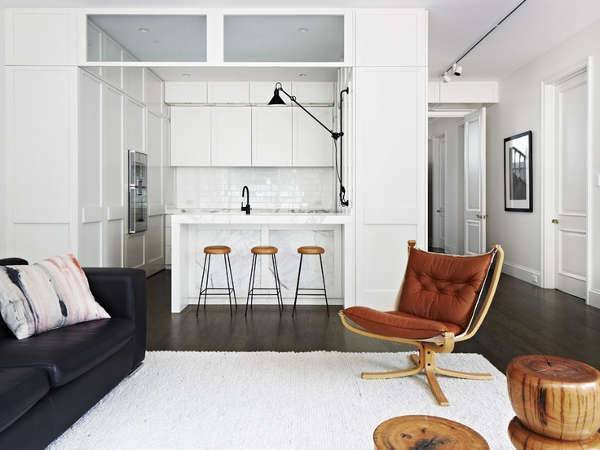 Add the necessary contrast to the white doors, shelves, and cabinets with simple and sober brown stools supported with black legs. If you wish, you can further experiment with the decor by adding some colorful pillows and artworks. If you are someone who enjoys a variety expressed with plenty of textures and colors then a vibrant and eclectic look can be the best option to embrace and incorporate. 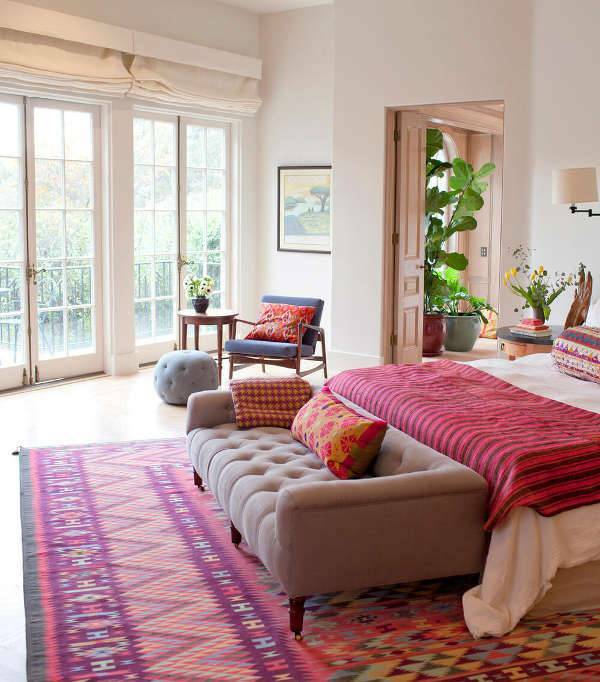 Start with small pieces like pillow cover and rugs and slowly and steadily build your way into more elaborate pieces. If you are looking to bring a contemporary touch to your home, try and include a mix of subtle and unusual elements in your home. Rugged to smooth appearing patterns look exceptional when paired with sleek wooden furniture pieces. A quilted white sofa matched with glass coffee table and a statement piece of modern art can instantly reflect a suave quality about your personality. Keep the accessories to a minimum and let the artistically minimal quality be the center of attraction. Pink can be one powerful color when used correctly in the appropriate spot. 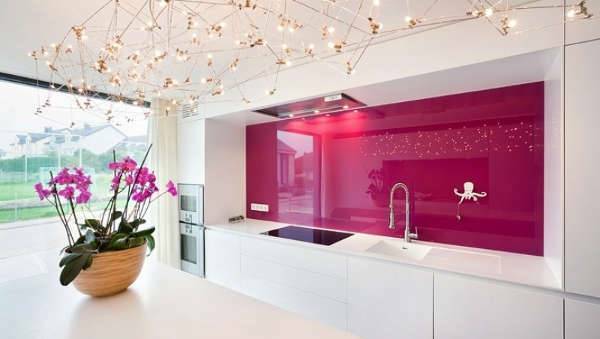 Try complement the bold color with just a single statement lighting fixture. 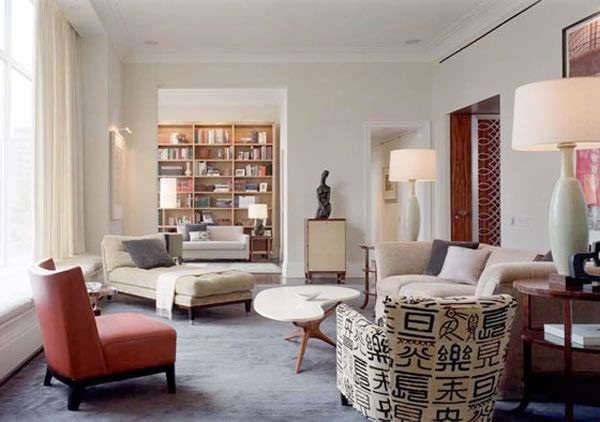 Let your home reflect the various side to your personality with coordinated vigor and charm.